Interpreted literally, the question in these lyrics is about sensory perception: Can you hear? But this is not a song about sensory perception, nor is the issue of migration something that can be apprehended by hearing or sight alone. Rather, I think what we need in order to fully grasp the complexity of migration is an openness of being, a disposition to not only perceive things on the surface level but more fundamentally at the level of the heart. 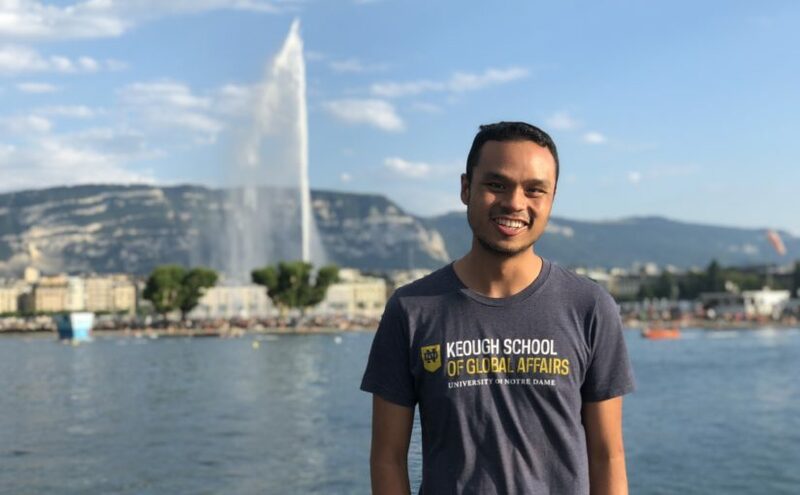 For our i-Lab project, I and three of my classmates are partnering with the U.S. Conference of Catholic Bishops’ Department of Migration and Refugee Services to explore how migrants’ human rights and dignity can be better protected as they undergo various immigration-enforcement processes. To that end, we have been touring detention centers, shelters, courtrooms, universities, churches, NGOs, intergovernmental organization offices, and even deserts (as a Canadian, the Arizonan Desert seems to me to be so hot that it violates the laws of physics), conducting interviews where appropriate, to get a sense of how migrants are treated and how they might be treated better. 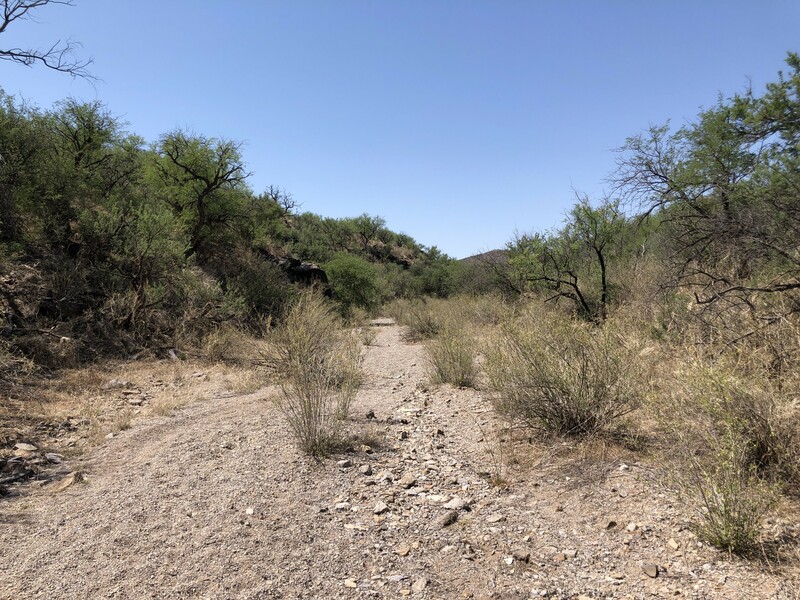 A migrant trail in the Sonoran Desert. Given the number of places our i-Lab team has traveled for this project—Arizona, New Mexico, Texas, Mexico, Germany, Greece, and Switzerland—I could honestly have just gotten lost in the whirlwind of travel, always just transiting through places instead of truly being there. But I felt like I owed it to the migrants who make dangerous northward journeys to really be present in these places, to really bring my whole self to them and listen as attentively as I could to what people were telling me. Several months ago, as we were preparing to go into the field, renowned peacebuilder and professor emeritus at the Kroc Institute for International Peace Studies John Paul Lederach spoke to our i-Lab class on the “vocation of presence,” which I understood to mean bringing your full self to a place in a spirit of humility. ‘Presence’ means allowing the place that you are in and the realities you are witnessing to really touch you and move you deep within. One example: Before he visited Auschwitz, Pope Francis prayed for “the grace to cry.” That is, for the grace to be so affected by the reality one faces—to be so radically present—that one is personally moved. I have not yet been granted the grace to cry, but I have done my best to hear, to see, to be present in the sites that I have visited and to the people I have met. This has meant going into each place and forcing myself to not become desensitized, to visit each location, as it were, with new eyes. I don’t want each transit or detention center to just get lost in a blur of misery and hopelessness. Nor do I want the interviews to fade into each other. I want to be present, and be with the people I am encountering—from migrants to other stakeholders, like NGO officials, activists, scholars, humanitarian workers, and intergovernmental agency staff—so as to really hear. 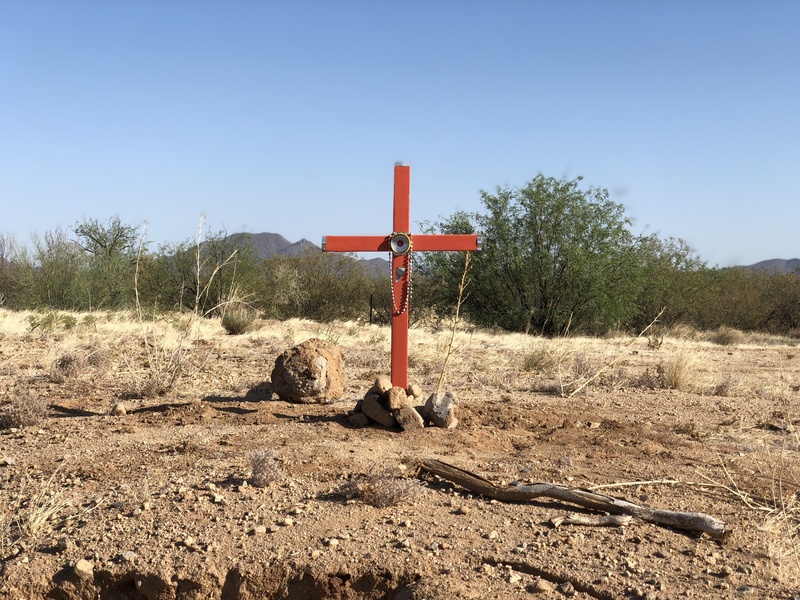 A cross in the desert, marking the spot where a deceased migrant’s body had been found. And the places I have visited are harrowing indeed. The sense of fear and heartbreak is palpable in the emptiness of the detention centers, the austerity of the courtrooms, the stench of death along never-ending desert trails. Two weeks ago I visited a visibly run-down “transit center”—that is, a center for migrants deemed unlikely to win their asylum cases—in the German state of Bavaria, and almost smelled the stench of desperation in the air. I think that if anyone steps into these places with a truly open heart, one must feel the deep, distinct sense—that stirring of conscience—that there is something about this situation that is not right. Those who face these many difficulties, these long-suffering migrants, are human beings. Do we not see this? Can we not hear? Me in Geneva, Switzerland, where I have been interviewing staff at intergovernmental and nongovernmental organizations about migrant issues. 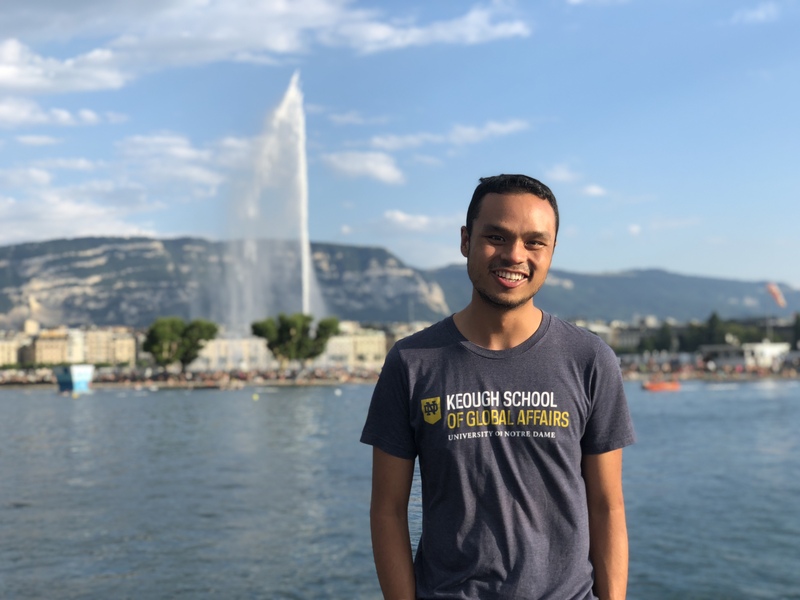 Here in Geneva, from where I am writing this blog post, I have heard a lot of talk about international law requiring states to treat migrants humanely. I think that is incredibly important, but I don’t think that we’re going to move hearts on the issue of migration by focusing on international legal principles like non-refoulement or the technicalities of asylum law. No, I think the answer really does have to lie in presence. More than anything else, what we need to do is to somehow find a way to make sites like these present to ordinary people in prosperous destination countries. We need to show people the inhumanity of the detention centers, the harshness of the desert, the tears and desperation of the courtrooms. We need to support migrants in their efforts to make their stories heard. And we do, in fact, need to hear the prayer that they utter in unknown rooms, a prayer for hope, for safety, for freedom.